The ATO gained this power with effect from July 1, 2014. Before July 1, 2014, in order to have a monetary penalty imposed, the ATO had to apply to the Federal Court and argue its case there. The court did not always impose a penalty (see Dolevski v Hodpik Pty Ltd  FCA 54). However, that has all changed. Now, under the new powers, for the more serious contraventions (such as contravention of the borrowing rules), the ATO can unilaterally impose monetary penalties at a rate of up to 60 penalty units per trustee. The number of penalty units has not increased. However, the dollar amount that a penalty unit represents has increased. When the ATO first received the power to impose monetary penalties on July 1, 2014, one penalty unit represented $170. From July 31, 2015, this was increased by almost 6 per cent to $180. This increase received little attention, but it can add up to a significant additional penalty. For example, consider a self-managed super fund (SMSF) with two individual trustees that lends more than 5 per cent of its assets to members. This is simultaneously a contravention of section 65 (no loans to members) and section 84 (in-house asset rules) of the Superannuation Industry (Supervision) Act 1993. Contravention of each leads to – among other things – the ATO being able to impose an administrative penalty of up to 60 penalty units per trustee. The above table also segues into an important point regarding administrative penalties. Namely, many have observed that unlike individual trustees who each receive a separate administrative penalty, in the case of contraventions by a corporate trustee of an SMSF, the directors are jointly and severally liable for the penalties. Accordingly, if the SMSF in the above example had a company as trustee, the table would be as in Table 2. Naturally, this benefit gets more and more pronounced the more trustees a fund has. For example, if an SMSF had four individual trustees, the maximum administrative penalty if the contravention occurred post July 31, 2015 would be $86,400, whereas if the SMSF had a corporate trustee, the maximum administrative penalty would remain at $21,600. However, what this means practically is very different. Practically, each director will receive a letter from the ATO stating “You are liable for an administrative penalty…” To again continue the example from above, each director would receive a letter from the ATO with the subject “Notification of penalty” stating “You are liable for an administrative penalty…The assessment of penalty (or penalties)…$21,600”. The next page might explain the nature of joint and several liability; however, some can incorrectly read the letter to think that the benefit of corporate trustees in minimising exposure to administrative penalties does not exist. 662 disqualified trustees were disqualified. Considering that there were 528,052 SMSFs at the start of the 2014-15 financial year, the above suggests that the proportion of “ratbag” SMSFs is very low. Another noteworthy point is that disqualification is a relatively common outcome compared to other avenues such as non-compliance. Naturally, once a person has been disqualified, they can never be a member of an SMSF again. If that person never intends to have an SMSF again, then on its face, being disqualified is not such a big deal. However, the real sting is that if someone is disqualified, that is publicly available information. Many people are often not aware of this. The Notice Of Disqualification is gazetted and a simple Google search of the person’s name often brings up the Notice Of Disqualification from the government website ComLaw in the first few Google hits. Naturally, this can have a negative implication for someone’s reputation. 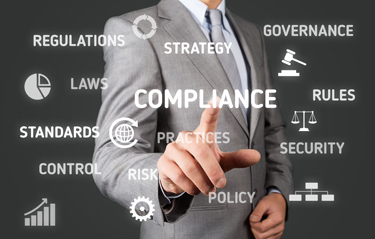 Compliance with the superannuation law is more important than ever. The ATO has new – and more powerful – options available to it. In my experiences with the ATO, the ATO is practical and reasonable, but naturally everything has limits and an SMSF trustee that contravenes the law and does not make appropriate efforts to rectify the situation may face significant negative implications.